Kudos, if you came to this level, you probably tried, if your kernel supported TRIM for your SSD or know that Red Hat Enterprise 6 Kernel has TRIM feature in place already! 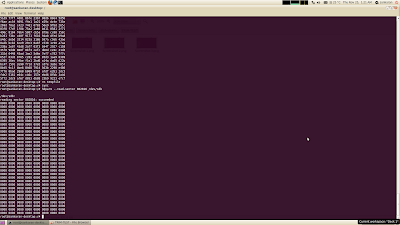 If you thought Ubuntu Long Term Support 10.04, kernel 2.6.32 has TRIM already, sorry, it does not have it yet. But EL6 kernel has TRIM support for SSD and it rocks!! 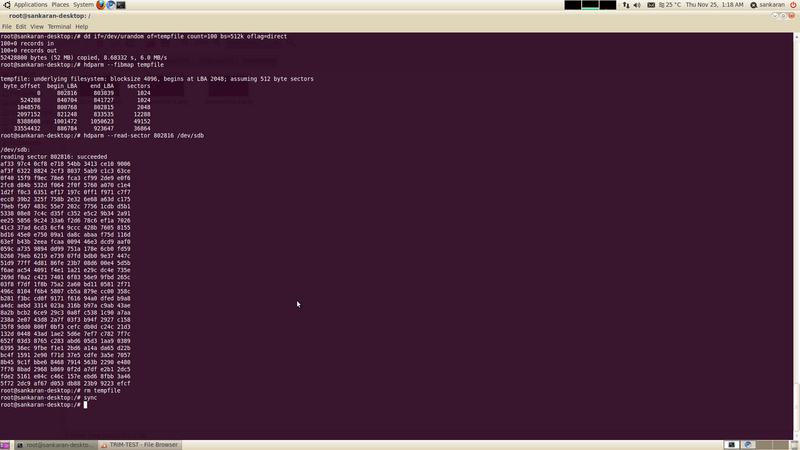 Hello, I use rhel 6.3 installed in Samsung 830 SSD with kernel 2.6.32.279 . 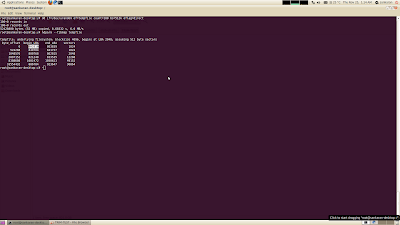 I followed your steps but can not get all 0's in the last step. 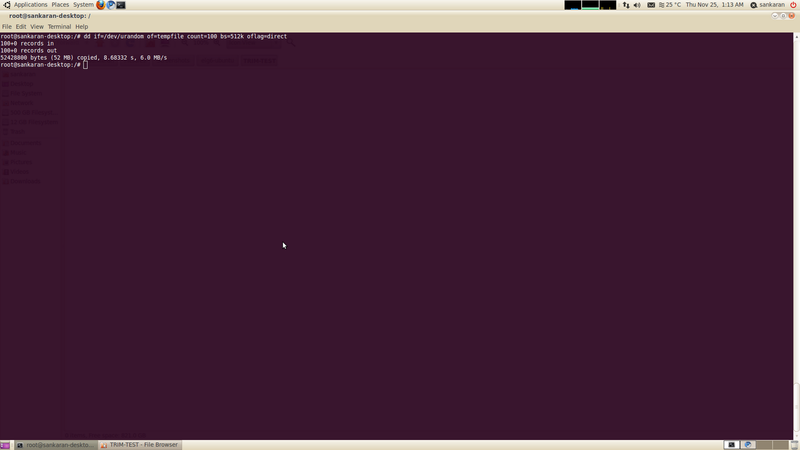 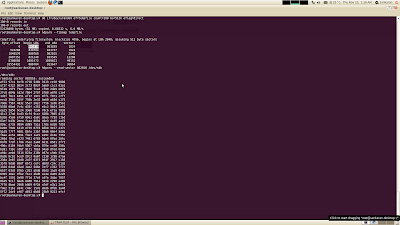 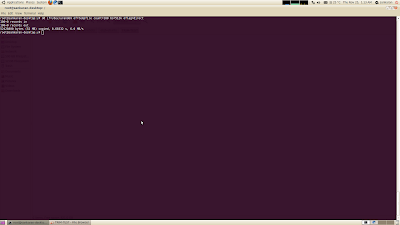 It's strange that the kernel works in Ubuntu. 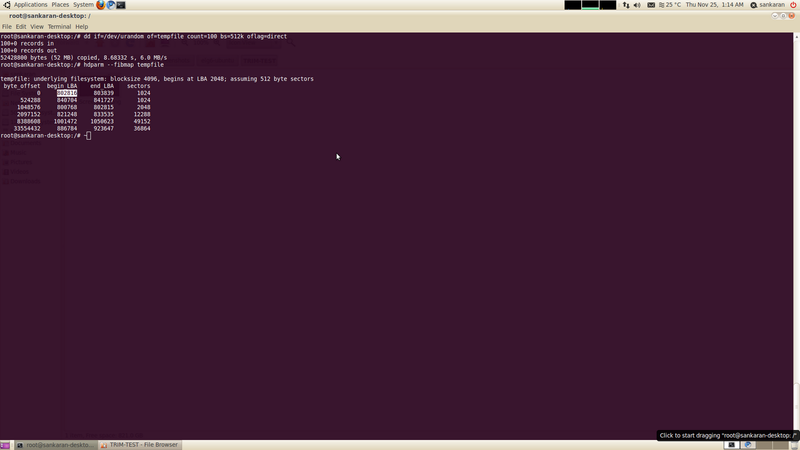 Maybe a different testing method is needed in rhel 6.3?